Specializing in Colorectal, Incontinence and Constipation cases. 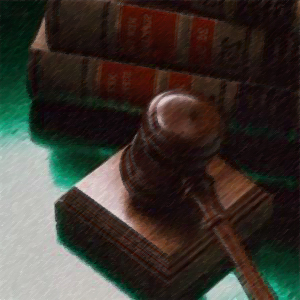 Expert reports, depositions, and testimony for judges, attorneys, law firms, insurance companies and government agencies in Federal, State, and County Court trials and arbitrations. Dr. Galliano is available for professional consultations, and serve as expert witness many fields of medicine. He has integrity, compassion, respect, accountability and excellence. Dr. Galliano can serve as expert witness and forensic consultant in legal matters and provide medical legal expert review of potential claims of medical malpractice and negligence. The law requires that testimony from a medical expert is necessary to prove: (1) the establishment of the acceptable standard of care that the negligent medical provider should have performed; (2) the medical provider's deviation from the acceptable standard of care (negligence) and (3) the resulting damages. An expert witness, professional witness or judicial expert is a witness, who by virtue of education, training, skill, or experience, is believed to have expertise and specialised knowledge in a particular subject beyond that of the average person, sufficient that others may officially and legally rely upon the witness's specialized (scientific, technical or other) opinion about an evidence or fact issue within the scope of his expertise. Medical malpractice is the negligence of a healthcare provider that causes an injury to a patient. Negligence may be due to the medical provider's failure to do something he/she is suppose to do or in the alternative to do something he/she is not suppose to do. Without an injury, medical negligence is not an actionable cause of action. For a confidential consultation, please contact Dr. Galliano. Dr. Galliano uses the Da Vinci System. The da Vinci System is a state-of-the-art surgical platform with 3D, high-definition vision and patented surgical instruments that takes surgery beyond the limits of the human hand. By overcoming the challenges of traditional open and laparoscopic surgery, da Vinci is changing the experience of surgery for people around the world.